Finally, after several years of trying to get a recording underway, I've gotten myself to the studio! I had a great first day recording at Blue Studios in Dalston with Karabo and Graham. Here's a little glimpse into our blisteringly cold - but wonderfully artistic - Saturday afternoon at Nine Elms! 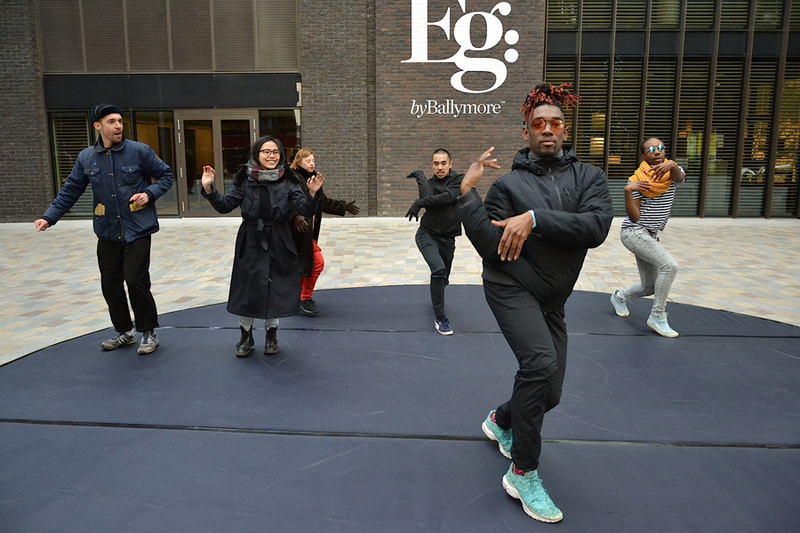 We were one of five acts invited by _inventory London to take part in On-And-Off (Winter Trail, Remapping Nine Elms). Photo credit: Giulia Brescianini. Playing marimba music amongst the tropical plants of the Barbican Centre's conservatory felt very right! Although not much of the conservatory is visible in the picture, this was definitely one of the coolest weddings my events band, Duduetsa African Marimba Band, has had the privilege of playing at this year! Warmest congratulations to Ben & Steph! My events band, Duduetsa African Marimba Band, had the honour of providing southern African entertainment during the first part of the evening. I'm very excited to be a part of this year's ThisIsNotArt Festival, which is running under the theme of Liminal Boundaries. I'm billed to perform with my band at The Brookmill in Deptford at 8:30. And it's free entry - so come dance with us! 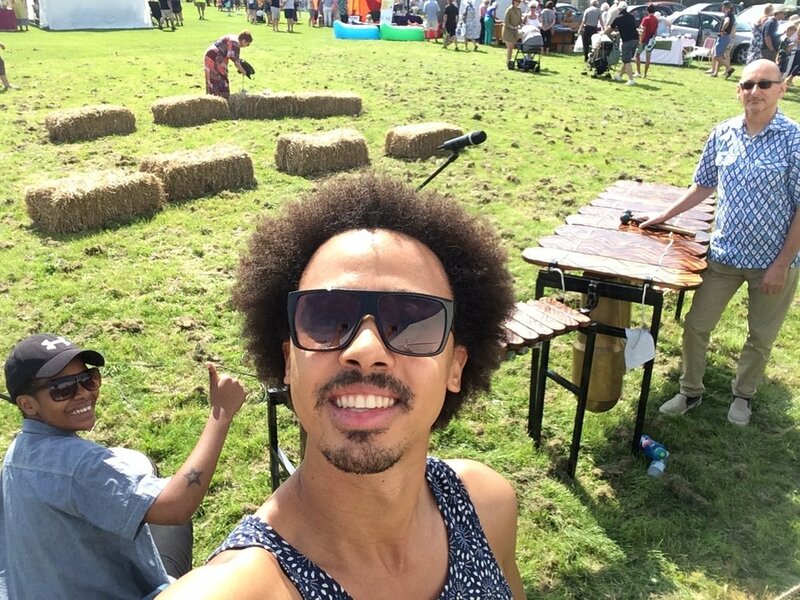 On October 21st in London, marimba percussionist Otto Gumaelius launched the Taste of Southern Africa Cultural Arts Festival, a weekend of activities celebrating the cultural arts of southern Africa. The festival was founded with the desire to share and promote the cultural arts of southern Africa with the UK during Black History Month. 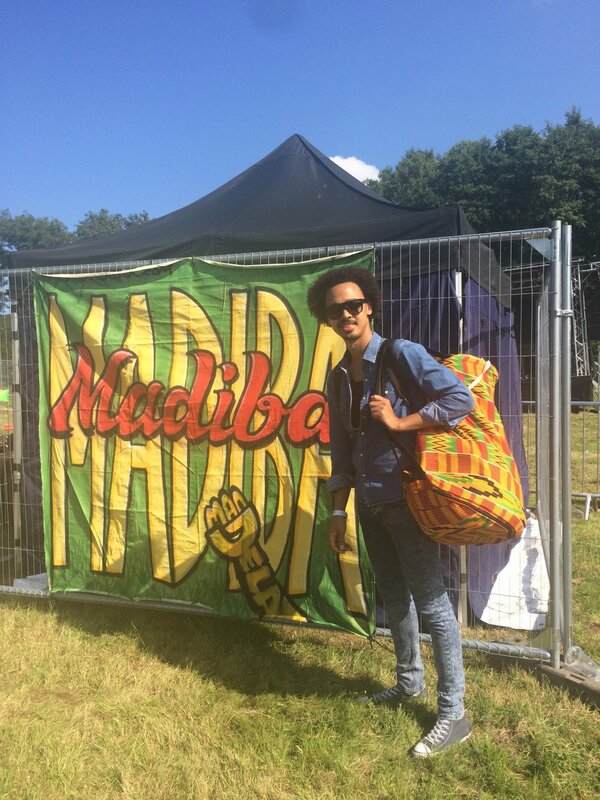 The driving vision behind the festival was to create a platform to appreciate southern African culture in the UK, and to reinforce a positive image of the African continent. Born to a Motswana mother and a Swedish father, Otto started playing folk music on the marimba in primary school in Botswana. He moved to Sweden in 2003 to pursue his International Baccalaureate diploma, and was able to continue playing the marimba through Zimba Marimba Band, a Swedish marimba band playing traditional Shona music from Zimbabwe. The band undertook several study tours to southern Africa and performed at HIFA (Harare International Festival of the Arts) in 2007. After completing his studies, Otto moved first to Edinburgh for university, and then to London for work. In 2016, he decided to dedicate himself full time to the marimba and the cultural arts of southern Africa, and founded African Marimba Music Ltd, a business delivering cultural marimba workshops and performances, with music from Botswana, Zimbabwe and South Africa. With the business established, Otto felt the time was right to establish a cultural arts festival. Otto explained, “For many years now, I have wanted to put on a cultural arts festival to celebrate my cultural heritage and to generate a positive spotlight on southern Africa. It was important for me to create a space where people from all walks of life could come together and engage with the cultural arts of southern Africa. My intention was to do this by giving people a chance to try it out themselves through workshops, and then get the opportunity to see the cultural arts in action through live performance”. In this first iteration of the festival, five workshops ran throughout the day – dance from Mozambique led by Nelson Neves; marimba from Botswana led by Otto Gumaelius himself; mbira from Zimbabwe led by Takudzwa Mukiwa; singing from Zimbabwe and South Africa led by Tsungai Tsikirai; and drumming from South Africa led by Yusuf Legwabe. After the workshops, participants had the chance to taste some southern African cuisine, before watching the headline marimba concert, which Otto put together with his London-based musician colleagues. The concert included marimba and mbira, with both traditional and contemporary songs and dances. The repertoire was predominantly from Botswana, South Africa and Zimbabwe – and included folk songs, liberation struggle songs, a gospel cover and some of Otto’s own original music. Otto revealed, “I have been passionate about the cultural arts of southern Africa for as long as I can remember, from the days when my cousins and I would watch cassette recordings of my late maternal grandmother’s traditional dance troupe, Ditshepe. I feel proud to have been able to put on a festival like this – and for it to have been received so warmly by everyone who came to watch, participate and support. I look forward to growing the festival further next year, and to eventually bring local acts from the various southern African countries to perform live here”. I'm performing at KataKata in Brixton this Saturday together with Graham Knight. 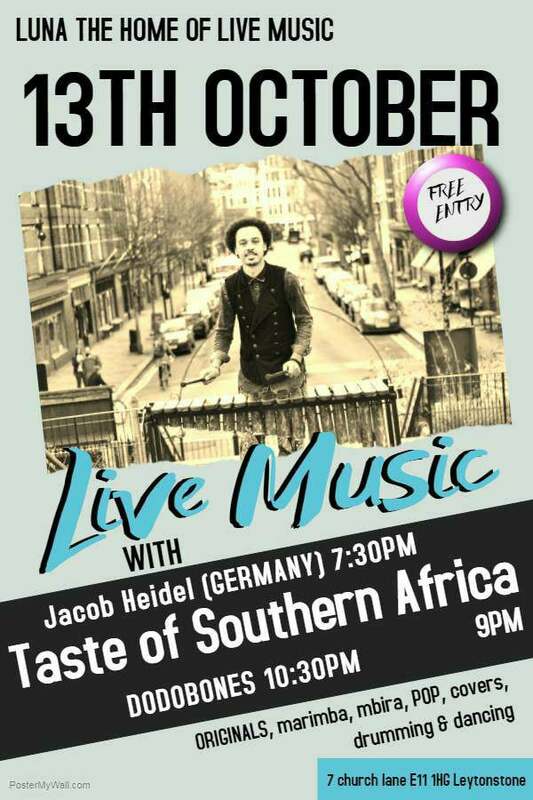 Come down for a lovely night of acoustic southern African marimba music! Music starts at 8pm, and it's £5 entry. See you on Saturday! I had a lovely time with Flame Lily Arts today, taking part in the parade during this year's Africa On The Square celebrations! Africa on the Square is an annual celebration of African culture, organised by the Mayor of London for Black History Month. The event takes place on Trafalgar Square every year and continues to grow with over 25,000 attending last year. It's a celebration of African arts and culture with live music, dancing, a talent show, an African market, food stalls, fashion show and lots of fun stuff for kids. This year I was part of the parade with Flame Lily Arts, a professional cultural performing arts company based in the United Kingdom. The group was formed in 2009 out of a shared passion for entertaining audiences around the world with the culture and traditions of southern Africa. Here's a video compilation put together by my friend Ahuv with highlights from the day! We're bringing the warm sounds of southern Africa to Luna Lounge in Leytonstone this Friday evening! It's free entry - and music starts at 9pm! Last night we had the honour of entertaining at Star & Obie's beautiful wedding in Kent. This was us warming up the wedding party with the sounds of the southern African marimba! We're playing a popular southern African gospel song called Avulekile Amasango. The crew and I were out in Woking this afternoon, providing marimba entertainment at the launch of the Global Grooves Foundation. We had a great day and got to sport some of the ties I made! Yesterday I presented From Limpopo to The Thames, two 45 minute musical journeys bringing the music of the cultures around the Limpopo river of southern Africa to those of the Thames of London. Mandatory changing room selfie, sporting one of the ties I made! Last night headlining at Hootananny's Rootmaster night. 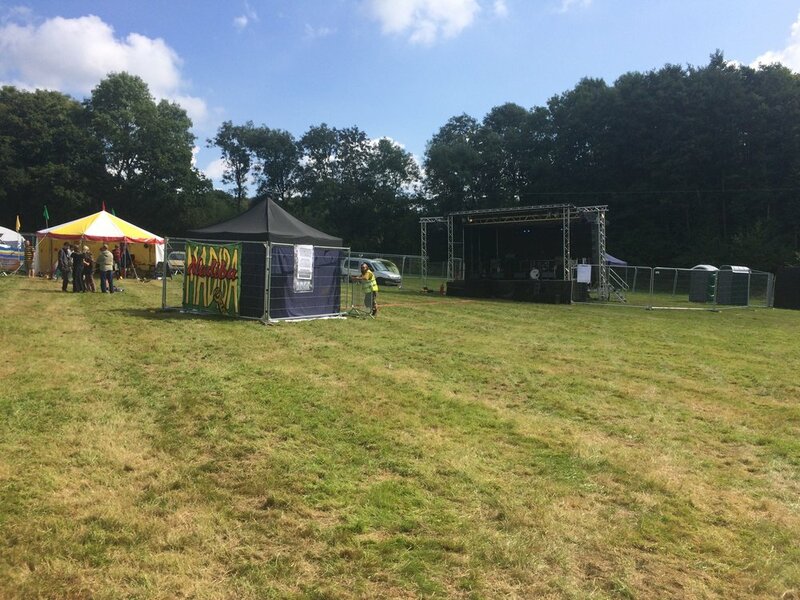 Summer's not over yet - and what a great way to spend one of the last hot Saturdays of the year performing at a festival! I didn't get to go to Nottinghill Carnival this year - but I had a great long weekend nonetheless performing in London and Cudham with my marimba band, and in Southampton at a wedding with the fantastic Zimbabwean dance company, Flame Lily Arts.